Input Range: 0 to +/-10 VDC or 4 to 20 mA. 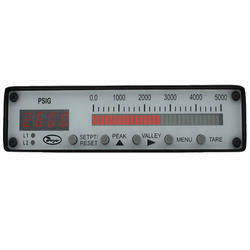 We are counted amongst the prominent manufacturers and suppliers of Digital VOl Meter. It is based on the latest technology and used as protection & control device. We manufacture acollection of Smart DPM (digital Panel DPM) is a microcontrollerbased versatile instrument. These are available with a variety ofdisplay sizes, input configurations and color options. Our range of 3½, 4 ½ and 5 ½ digit precision DPMs are widelydemanded for OEM applications.